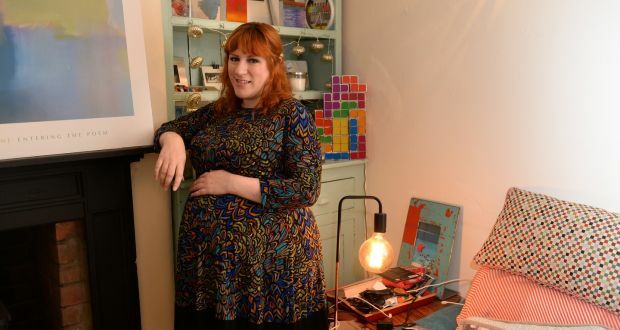 Tanya Sweeney: As my due date approaches I am moving like a post-marathon Jabba the Hut “How are you feeling?” People are routinely beaming at me as though I’ve invented penicillin, or won an Oscar. It seems churlish to admit to the truth: “I’m miserable. I’m sore. I’ve over this. There’s also a nasty rumour knocking about that you’re meant to love, live with and raise the little person responsible for the next 18 years.” You might have noticed, but having an almighty whinge is pretty much my only vice right now. Time once was that I used to describe myself as a journalist, but in the final weeks of this pregnancy I have a whole new occupation: sitting on the loo for hours on end to little avail, and wondering where the nearest bottle of Gaviscon is. I’ve started calling the baby “Keith Flint from the Prodigy”, because I am clearly about to give birth to someone who thinks it’s Glastonbury O’Clock all the time. Those were heady days alright, back when I could put my own tights on. Shelves of shoes have been consigned to the wardrobe, to be replaced by changing tables and piles of muslin cloths. I flip-flop from anticipation to panic that there’s no pause button on this situation. You might have noticed, but having an almighty whinge is pretty much my only vice right now. Time once was that I used to describe myself as a journalist, but in the final weeks of this pregnancy I have a whole new occupation: sitting on the loo for hours on end to little avail, and wondering where the nearest bottle of Gaviscon is. I’ve always been one of life’s crammers – had Red Bull not been invented, I’d probably still be in college. I have been worryingly lax with Kegels and the perineal massage, and so I do what any sane woman would do in my position: cadge the lecture notes and panic. One friend has brought me up to speed on slings and another on breast pumps, while a third has imparted the lowdown on cloth nappies. I’m not joking when I say each of these requires a degree-level amount of information. I very nearly have my bachelor’s degree in baby.